Picking out new eyeglasses can be a frustrating experience. Your decision affects how you see and also how you want to be seen by others. We specialize in fitting eyewear that is both fashionable and functional, so no matter where you go you can look great and see even better! Think of us as your personal fashion consultant. Our staff will help you find the best fit for your specific needs and explain how different lenses and frames will impact your vision. We will help you narrow down your choices so you can find the look, fit, and functionality you want from your eyewear. We use the latest eye care technology to give you the best vision possible so that you can see the beauty of life clearly every single day. We have the ability to edge lenses on site, so we are able to have some non-bifocal glasses ready in less than a day! 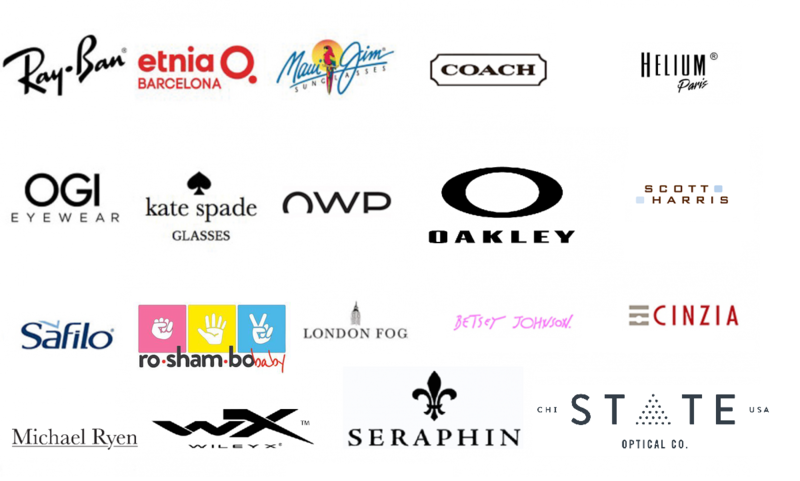 Premium product: We only carry high quality name brand frames and lenses. The staff at Eye 35 are highly trained professionals who will get you into a pair of glasses that are both cosmetically pleasing and offer optimum clarity! Discounts: No insurance? No problem! We offer $150 off a complete pair of glasses and 30% off a second pair! Have insurance? Still receive 30% off a second pair! Small business support: As a small business ourselves, we support small businesses around us. We use labs that are local to complete orders that have a faster turnaround time than the large competitors and still offer the highest quality lenses. Eye protection: We offer many different coatings for your glasses and sunglasses. BluTech lenses are one of our best sellers, they prevent harmful blue light from reaching the retina. In house lenses: In immediate need of glasses? We edge lenses in house to reduce the time between ordering and receiving your glasses. We have many prescriptions in stock to be cut same day if needed!